Rockstar's GTA V creative team will attend the NYFF starting this weekend. GTA V has felt some heat since its release, considering how much media attention it has received for stores' launch mistakes and violent content. Nonetheless, Rockstar's Grand Theft Auto V creative team will be active participants in this year's New York Film Festival for the Convergence Program, a section of the festival interested with the intersection of technology and storytelling. Rockstar will host two official panel discussions and a concert. The first panel, named "Visit Los Santos and Blaine County: The World of Grand Theft Auto V," examines storytelling and development. The panel will discuss Rockstar's use of three playable characters and its impact on storytelling, as well as how the team designed Los Santos and Blaine County. It takes place on Sunday, Sept. 29 at 3:30 pm at the Elinor Bunin Munroe Film Center. Grand Theft Auto V score composers Tangerine Dream, Woody Jackson, The Alchemist, and Oh No will host a concert at the Church of Saint Paul the Apostle. The concert is on Monday, Sept. 30 at 9 pm. Tickets are limited, and they're on sale right now. A ticket to the concert is $40, and a ticket to the concert along with an afterparty, including a DJ and an open bar, costs $125. 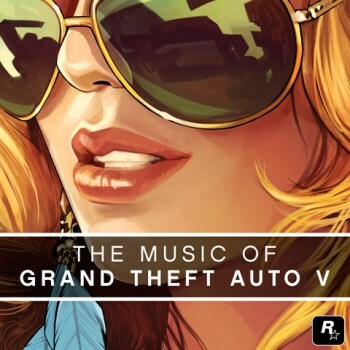 The following day Rockstar will host a free-to-the-public event discussing the game's music. The composers and soundtrack supervisor will be at the event as panel participants. It will take place at the Ampitheater at the Elinor Bunin Munroe Film Center on Tuesday, Oct. 1 at 8 pm.